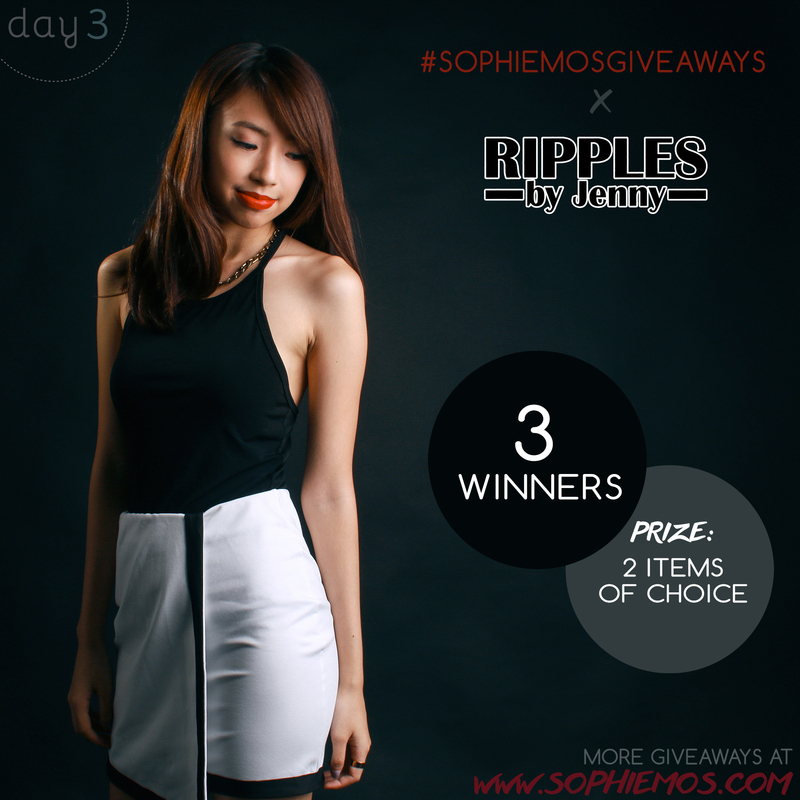 For Day 3 of #sophiemosgiveaways, I’ll be giving away more clothes and this time from one of my favorite shops, Ripples by Jenny! I’ve featured their clothes several times already on my blog and love how they have clothes for absolutely any kind of style and occasion. The skirt I’m wearing on the photo above is actually from them too and I styled it for a classy look. So I’m sure whatever your style is, you’ll find something that suits your taste from their shop! 2. Follow Ripples by Jenny on Facebook and Instagram. 3. Tweet the ff: "OMG! So much clothes up for grabs at www.sophiemos.com #sophiemosgiveaways!“ No need to tag me! Deadline of entries is on October 25, Saturday, 11:59PM. Open only to Philippine residents only. All entries will be checked. Failure to comply with one step will invalidate entry! Winners will be chosen via random.org and will be announced on my blog and Twitter.